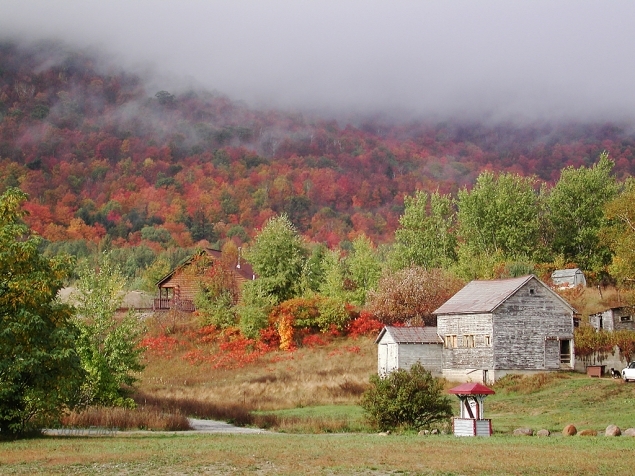 Taken in North Creek, NY, this photo was available for only a few seconds as the fog rolled in and out on the hill above the scene. I ran to the scene and clicked the shutter just in time, having rudely left my wife and friends standing on the street watching. I just didn't have time to explain what I was seeing.